We always struggle to make things easier for you and to provide you with an amazing experience every time you use our services. Because we love what we do, we want you to love using SmartyDNS as well. 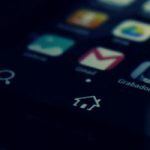 We constantly update our apps and find ways to make them quicker, more efficient and more user friendly. Since the launch of our Android TV and Amazon Fire TV apps, when we also made some changes to the log in process for these apps, we noticed how well the improvements were received by our customers and decided to apply these changes to other apps as well. Therefore, the sign in method is now changed on our Android app that can be used on any Android devices, be it smartphones or tablets. 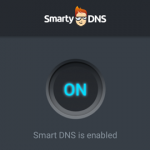 Up until now, the sign in process for the SmartyDNS app was based on a Smart DNS key that was available in the Client Area. 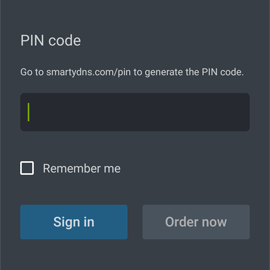 For security reasons, this was automatically generated by the system for each package separately and in order to be able to log in to the SmartyDNS app, our customers had to copy and paste this code from the Client Area to the login screen. This is no longer the case. 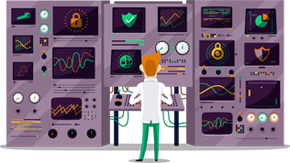 The Client Area now has a functionality which can generate a temporary 4 digit PIN number instead of the Smart DNS key, which can be easily remembered and used for accessing the app from any Android devices you may want to use. This is done without making the process any less secure. The ease of access to our Android App has dramatically improved thanks to this new sign in method and we are sure you will enjoy using the app even more now. With just a couple of clicks, you can now enjoy the magic of the free internet, because SmartyDNS constantly unblocks new and better websites with geo-restricted content, making them available from anywhere in the world at an amazing price. Forget about geo-restrictions without worrying about loss of speed and use any Android device easily to stream content from anywhere in the world.